Hope everyone had a wonderful weekend celebrating all the dad's in your world. 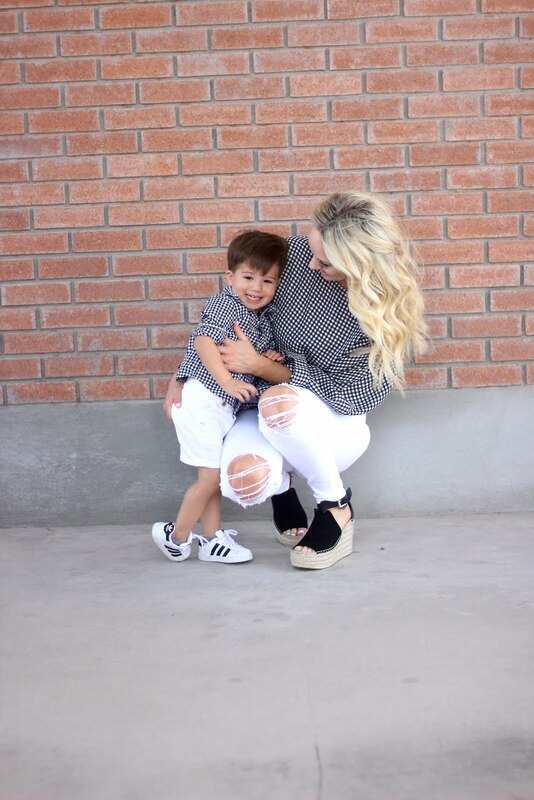 I LOVE everything about this little gingham top and I couldn't resist twinning with my little guy! The sleeves have a little flare (which I love) and the front knot makes it look cute with jeans or shorts.